In the EF Code First Example, we built a simple CRUD Application. The EF created and initialised the database, even though we did not specify any connection string. 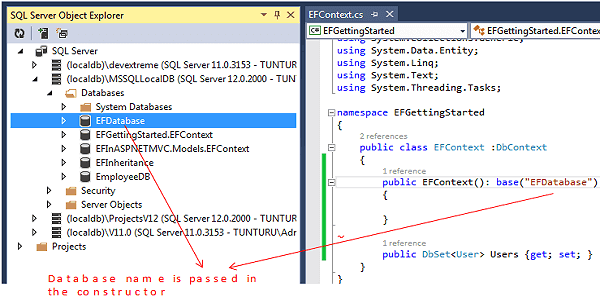 In this article, we will learn how Entity Framework discovers which database connection to use, and how we can modify it. In the above example, we have not passed anything in the Constructor of the DbContext class. In such case, entity framework will create the database either in localDB or SQL Express. The name of the database will be a fully qualified name of your derived DBContext class. This we looked at in our previous tutorial. 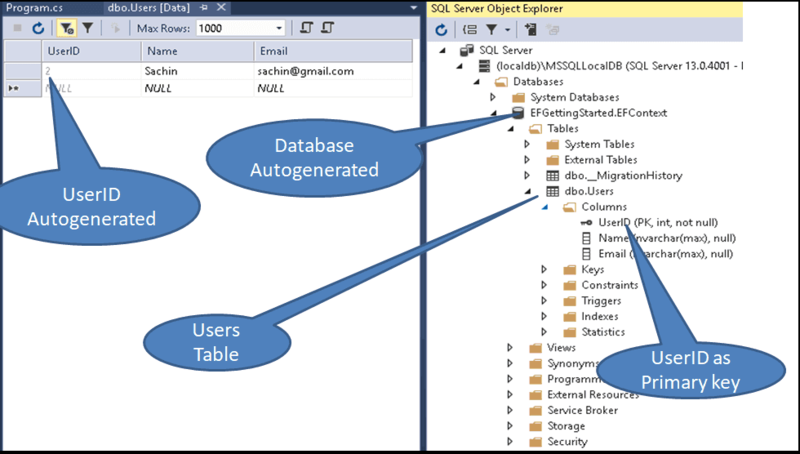 The following image shows the database created by Entity Framework. 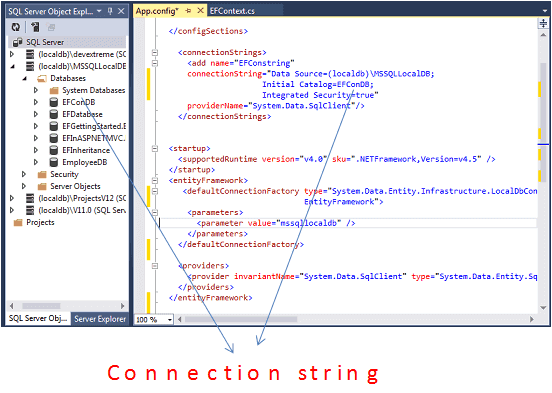 The <defaultConnectionFactory> section is under the <entityFramework> section and is required and is used if you do not specify the connection string. The EF uses this section to locate the database to use for the context. You can use this section change the any provider or you can use customer providers. You can pass the name of the database in the constructor of the DbContext method. The rest of the process is similar to No Parameter. EF will create the database using the defaultConnectionFactory provided in the web.config file.